Rabbits make great pets - but unfortunately they're too small to, say, go into the fridge to grab you a beer. Fortunately this guy figured out the next best thing. 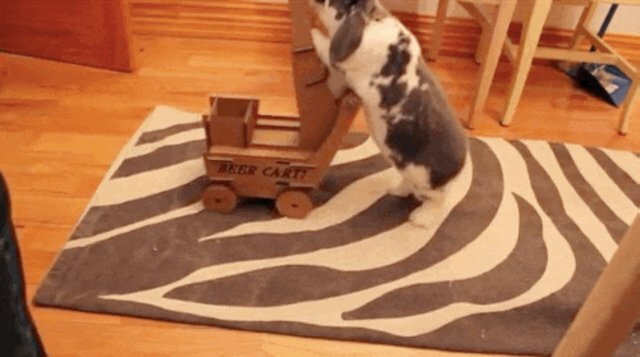 This YouTuber was trying to bond with his girlfriend's rabbit, Wallace, when he realized the little lop might just be the perfect delivery man for his next beer. 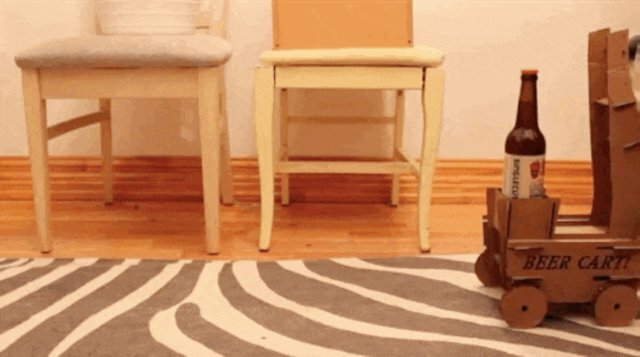 So he built a little cardboard delivery cart - and the resulting pitter-patter of tiny bunny feet is absolutely adorable. Wallace, can you grab me a beer? Of course, we're sure Wallace's acquiescence has something to do with the treats on the handle of the cart - which he wastes no time in knocking over once his delivery job is finished. 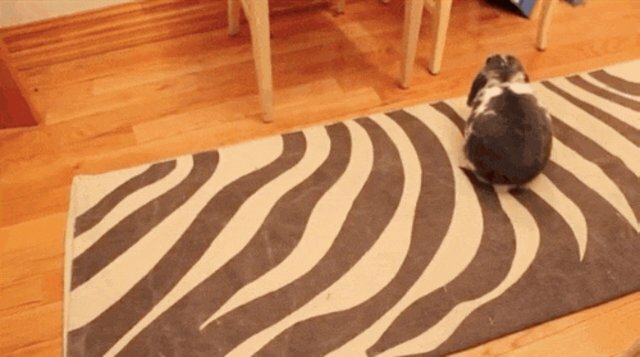 Rabbits are highly intelligent and can be easily trained - especially if there's food involved. But they also take a lot of specialized knowledge and care. If you think you'd like to add a delivery bunny to your family, make sure you do your research, then visit Adopt-a-Pet.com to find needy bunnies near you. And watch the full bunny delivery video below. Wallace and his human friend have lots of adventures together. Click here to see Wallace get his very own "Game of Thrones" carrot throne.